I had the original over 15 years ago and loved it! I gave it to my niece who is just getting into papercraft. So, when the new version came out, I had to have it! It works great for traveling to a friend's house or in your craft room when you're short on space. I love the size of this workhorse. I keep it on my desk because I reach for it often to use with thin dies. It's small size makes it easy to keep it handy. 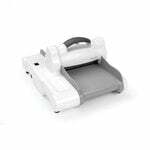 I love the ease of using this little critter as opposed to having to drag out my big Sizzix when I only need to cut a little item out. I recommend adding this little machine to your crafting room. I love this little baby! I use many small dies for tags, journals and memory book pages. This saves wearing out my Big Shot, and is much faster. 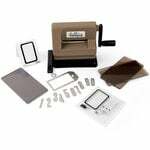 It works well for alphabet/ number dies, small tags,Tim Holtz thinlets small flower & leaf dies, planner dies, etc. 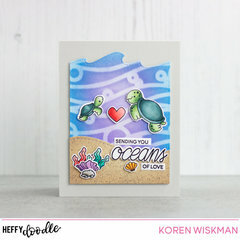 If you are trying decide if you will use it, I suggest cutting a piece of paper that is 2 1/2” by 5” (the size of the cutting pads) then go through your die collection to see what fits. The dies & embossing folders that come with the set are really cute for labels & tags. I work on a glass mat, so the suction cup works perfectly. The unit itself is solid and well-constructed. 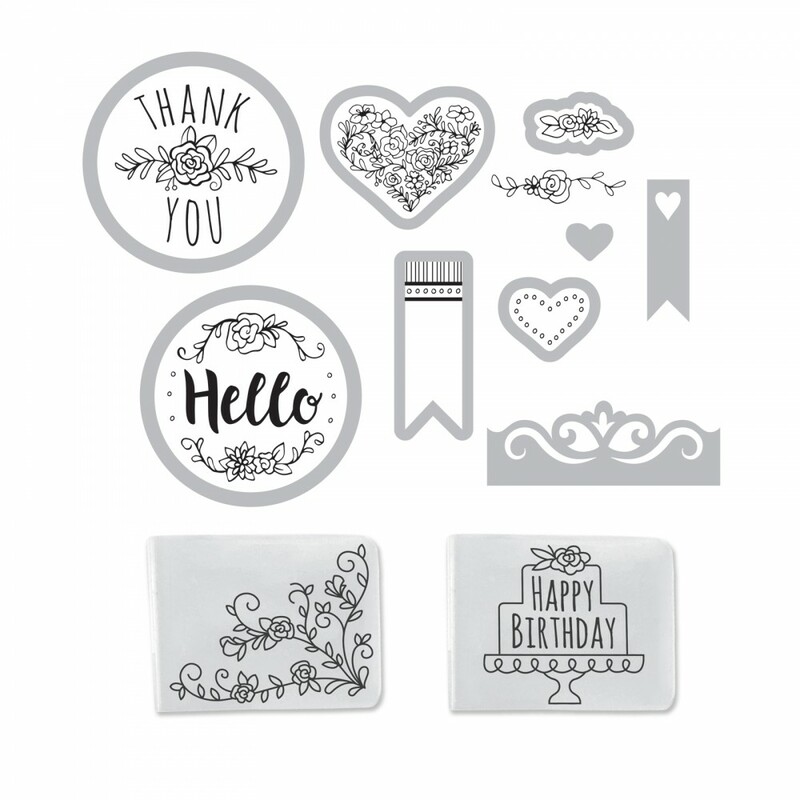 For the type of papercrafting that I like, it was a great purchase. I am still learning things but so far I am very content with the product. As soon as I have the money available I will purchase the large size. Even though I already own a Vagabond I ordered this Sidekick because I thought it was cute and it might come in handy. When it arrived and I unpacked it I thought it might be little more then a toy. Not so! This little thing is a workhorse! I've been using it to cut out all the little tiny pieces needed for the snow globe Christmas cards I'm making for my six grandkids. I've also used it to cut out many of my other small dies. This little thing cuts like a champ. I love it!!!!! This is such a great companion to the bigger machines! 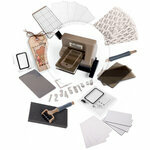 It's lightweight, travels well to crops and arty gatherings and matches the bigshot, plus and emboss machines. I had the original way back in the day and was so excited to see the updated version and to be able to get the accessories again. Mine sits right on my worktable so I can grab it for a quick use. I love this little machine! My papercrafting involves mostly cards, so a lot of my die cutting is small items. It is nice to have this little machine instead of hauling out one of my larger machines, when I am only cutting small things! I had the old red sidekick, but it didn’t cut the new style does, so when I saw this set, for such a reasonable price, I just had to get it! Not disappointed! Love it! And good luck finding the correct color replacements!!! By: madewithlovebynlo (06-Apr-18) Helpful Question? Yes | No Thank you! Report Inappropriate This question has been reported. Thank you! Since I saw these comments, I ordered an extra set of cutting pads (link below) with the machine bundle! With my larger Sizzix machines, I always keep one pad straight and unmarked by keeping it away from the cutting side of the dies. That way, I just have one pad that takes the brunt of the damage while the other provides a stable surface for running through the machine. Theoretically, that should give you more mileage out of a replacement set of cutting pads! 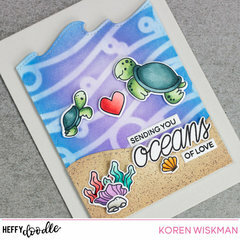 https://www.scrapbook.com/store/sz-661769.html By: becky4230 (22-Nov-18) Helpful Answer? Yes | No Thank you! Report Inappropriate This Answer has been reported. Thank you! I was thrilled when I receive my sidekick! However, after approximately 20 - 25 passes with various thinlets one of the plates is warped and even though the handle cranks nothing passes through the machine. It was wonderful while it lasted. By: Floribbean (24-Apr-18) Helpful Answer? Yes | No Thank you! Report Inappropriate This Answer has been reported. Thank you! Where can I purchase just the tag and numbers dies and stamps that come along with this set? I already have a small die cutting machine. By: janman (19-Apr-19) Helpful Question? Yes | No Thank you! Report Inappropriate This question has been reported. Thank you! Unfortunately, it appears these are not available for sale outside of the bundle. By: sbc-julie (19-Apr-19) Helpful Answer? Yes | No Thank you! Report Inappropriate This Answer has been reported. Thank you! Is it just me but does the Sidekick NOT stay secured to the desk or table surface for very long? I've tried it on my wood desk and metal topped shelf and the suction releases after a few minutes - especially after I use it. Do I have a defective one? Thanks By: SiderWhite (29-Dec-17) Helpful Question? Yes | No Thank you! Report Inappropriate This question has been reported. Thank you! I recently watched an FB Live with Tim Holtz this week and he spoke about this issue. (Check out his FB page for Tim Holtz Addicts to find the video.) 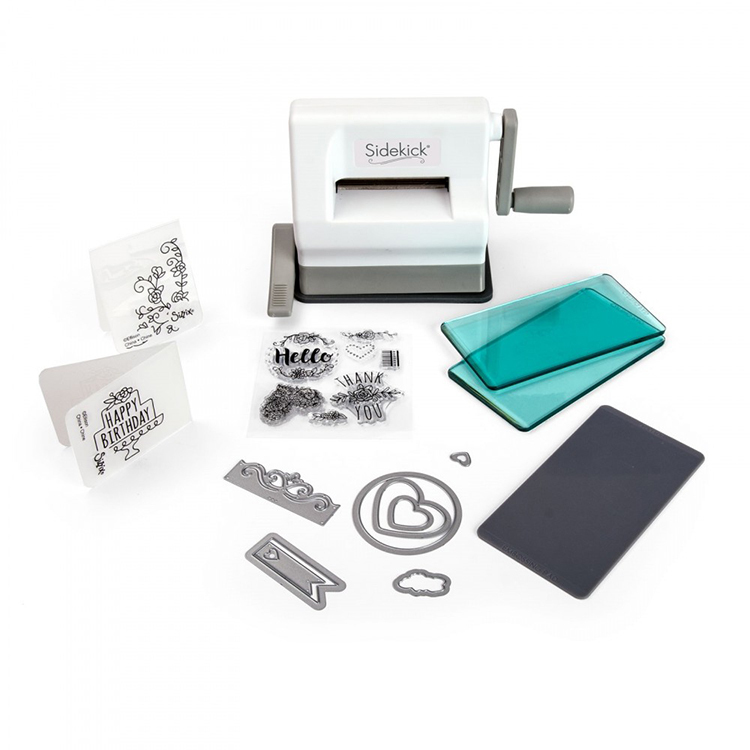 A tip he shared was to take one of cutting pads from the larger Sizzix or Vagabond die cutting machines and secure the sidekick to that. Then when cutting out the die you can press down on the cutting pad the sidekick is secured to while turning the sidekick handle to cut the die. Hope this helps! Of course if you don't own a larger cutting pad you'd have to find a different solution. Perhaps a large 12x12 smooth tile? Sometimes one might have something like that laying around. (I've done a lot of different crafting so I have lots of odds and ends. 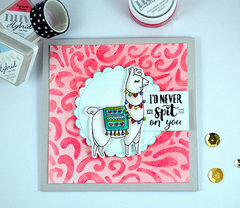 Most crafters, er hoarders, do. LOL) By: gharlow_38 (16-Jan-18) Helpful Answer? Yes | No Thank you! Report Inappropriate This Answer has been reported. Thank you! Few if any of the suction bottom die cut machines work well on any surface besides glass from my experience. By: deebeth89 (27-Feb-18) Helpful Answer? Yes | No Thank you! Report Inappropriate This Answer has been reported. Thank you! HI, is the handle supposed to be wobbly. It moves in and out at the top of the handle very easily-in fact without trying. By: jlguilford (26-Dec-17) Helpful Question? Yes | No Thank you! Report Inappropriate This question has been reported. Thank you! Friend and I ordered our Sidekicks at the same time and neither one of us has had an issue with the handle being wobbly. I wold check with Sizzix's Customer Service Department. By: My gal (27-Dec-17) Helpful Answer? Yes | No Thank you! Report Inappropriate This Answer has been reported. Thank you! Thank you both again for your help!!! By: jlguilford (28-Dec-17) Helpful Answer? Yes | No Thank you! Report Inappropriate This Answer has been reported. Thank you! Where do i order new sidekick cutting plates, embossing matt ? I just got my new little sweetie ( sidekick ) and I love it so much <3 ... so want to get more plates ahead By: Lorett (12-Sep-17) Helpful Question? Yes | No Thank you! Report Inappropriate This question has been reported. Thank you! 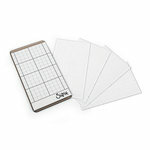 You can purchase the cutting pads at Scrapbook.com. https://www.scrapbook.com/store/sz-654559.html By: Amber Boren (13-Sep-17) Helpful Answer? Yes | No Thank you! Report Inappropriate This Answer has been reported. Thank you! I can't find the replacement pads and embossing matt either. Tried the website mention and its no where to be found By: snoopy2012 (09-Jan-18) Helpful Answer? Yes | No Thank you! Report Inappropriate This Answer has been reported. Thank you! I had the original Sidekick and loved it. I have a huge collection of Sizzelits dies, can they be used in this new sidekick machine? thank you By: Roselby (21-Jun-17) Helpful Question? Yes | No Thank you! Report Inappropriate This question has been reported. Thank you! 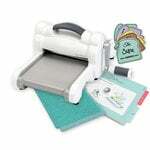 According to Sizzix's website, the Sizzlit-type dies will work, but require the purchase of a different, thinner set of cutting pads. By: aquabunny (14-Nov-17) Helpful Answer? Yes | No Thank you! Report Inappropriate This Answer has been reported. Thank you! I love it so far. It can take dies up to 2 & 1/2". So i do not have to pull out the big shot for the small dies. By: terryc1992 (22-Jun-17) Helpful Answer? Yes | No Thank you! Report Inappropriate This Answer has been reported. Thank you! Even though the product is out of stock can I get the sale price By: kaboo1 (22-Nov-17) Helpful Question? Yes | No Thank you! Report Inappropriate This question has been reported. Thank you! Now back in stock! $40!! By: scrappinbrat (23-Nov-17) Helpful Answer? Yes | No Thank you! Report Inappropriate This Answer has been reported. Thank you! So TH's Sidekick does not require an adapter to cut thin dies, because the cutting pads are thicker, correct? By: sbartist (26-Jan-18) Helpful Question? Yes | No Thank you! Report Inappropriate This question has been reported. Thank you! Thank you. By: sbartist (28-Jan-18) Helpful Answer? Yes | No Thank you! Report Inappropriate This Answer has been reported. Thank you! Yes the colored cutting pads are thicker. You can still use the regular cutting pads and use it with sizzlers as well. By: LauraLee444 (27-Jan-18) Helpful Answer? Yes | No Thank you! Report Inappropriate This Answer has been reported. Thank you!